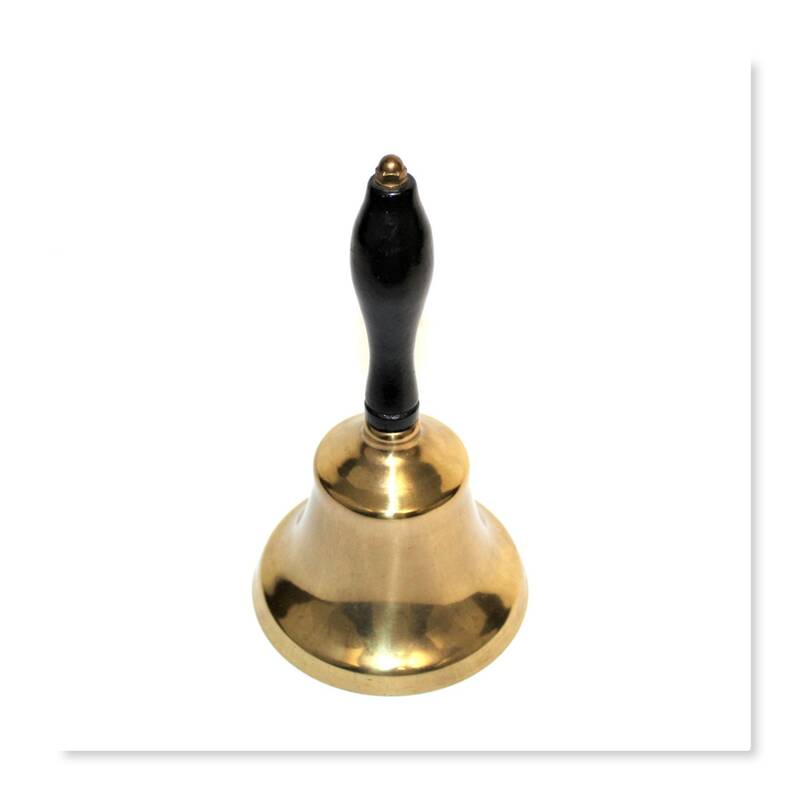 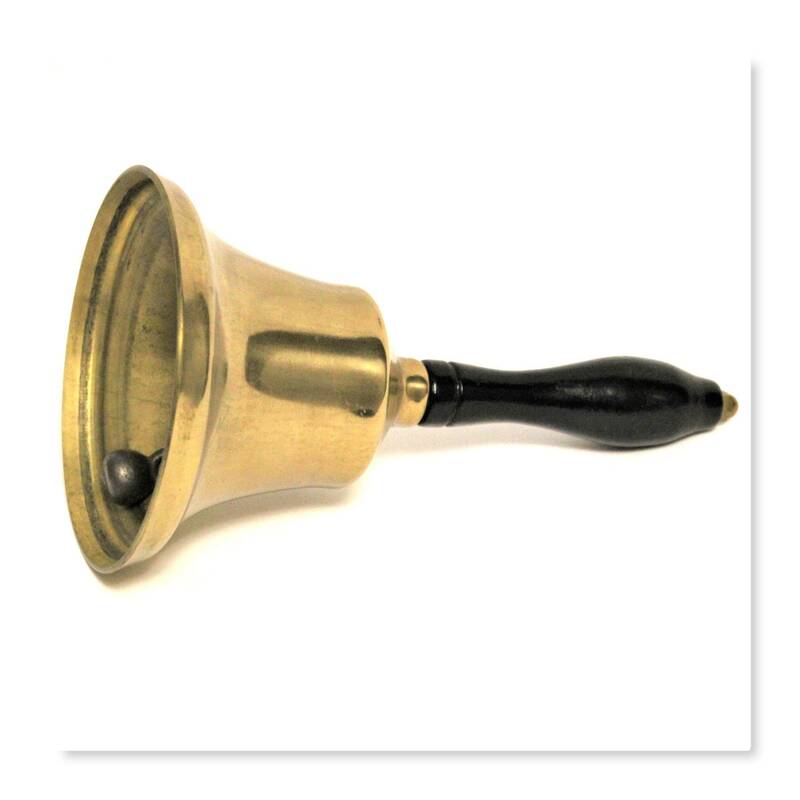 Wonderful brass bell with ebony black wooden handle know as a school bell of town crier bell. 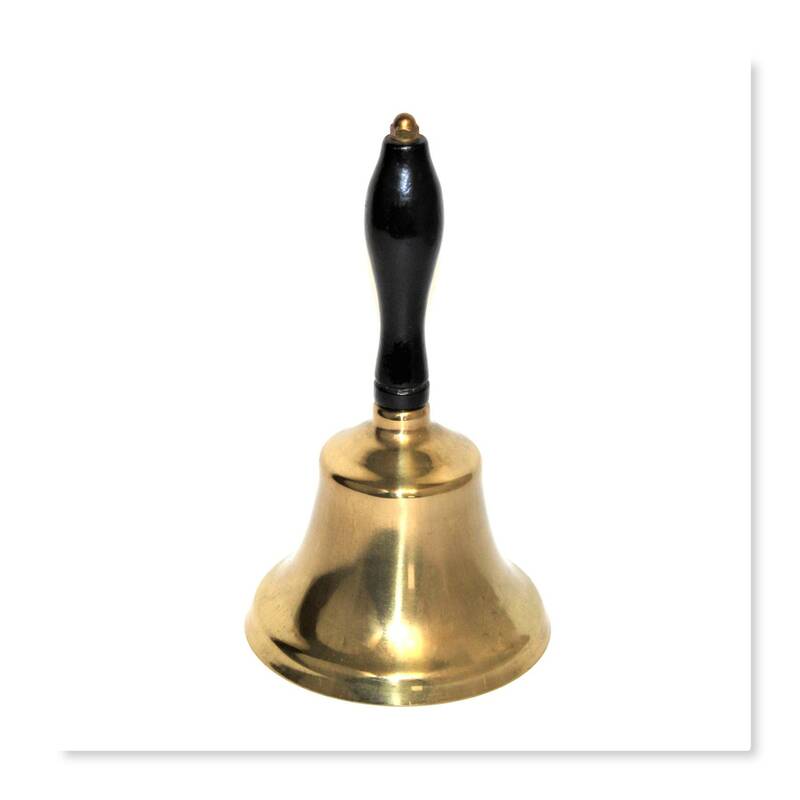 Bell has a lovely sound that carries well. 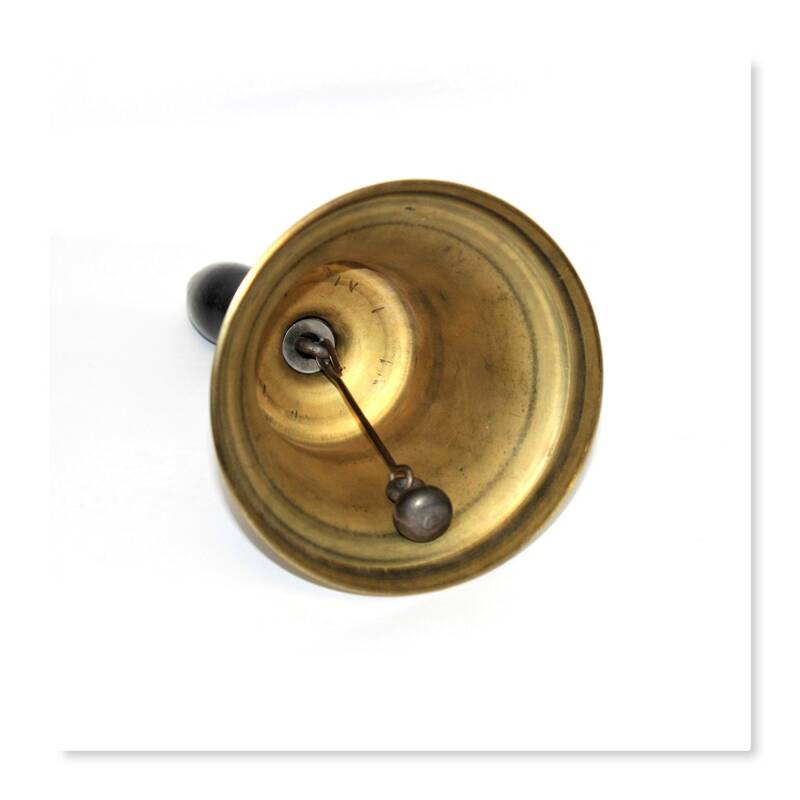 Condition is very good with light wear.